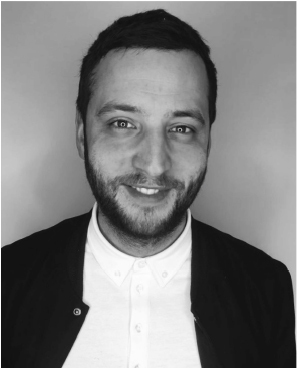 Having worked for the last 15 years in some of London’s most reputable salons, Bobby joined us in September last year and has become a huge and valued part of the team. Bobby says of his hairdressing style: “ I’ve always loved working with shorter hair and the classics but I’ve developed a softer attitude to hair over the years, and now also love working with strong shapes and natural textures. I take influence from music and pop culture.” With a great eye for style, Bobby knows intuitively what looks effortlessly cool. Book with Bobby if you’re after the ultimate pixie crop, a super cute French style bob or just want effortless rock chick vibes. If you’re lucky enough you might even sneak a cuddle with Bobby’s super cute puppy, Nellie, while you wait. The salon’s now resident pooch.